Tulalip tribal members Kelsey Sheldon (center) and Tyler Fryberg (far right) have been selected as students during the Learning Center’s inaugural year. On the afternoon of Tuesday, September 11, the repurposed Damascus Road Annex in Marysville was home to a warm gathering of inclusive-minded citizens and their families. The occasion? To celebrate the grand opening of the Marysville Tulalip Integrated Learning Center. 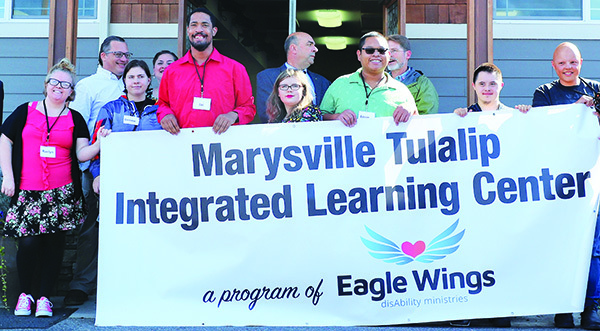 The Integrated Learning Center is a post- secondary education center for adults with developmental disabilities who have graduated from Marysville School District. At the Center, students will learn how to ride public transportation, take art classes, and learn the fundamentals of cooking, nutrition, and adaptive fitness. They will have the opportunity to raise their own vegetables and flowers. Also, students will practice reading to animals and develop employable skills at Sky Haven Farm. 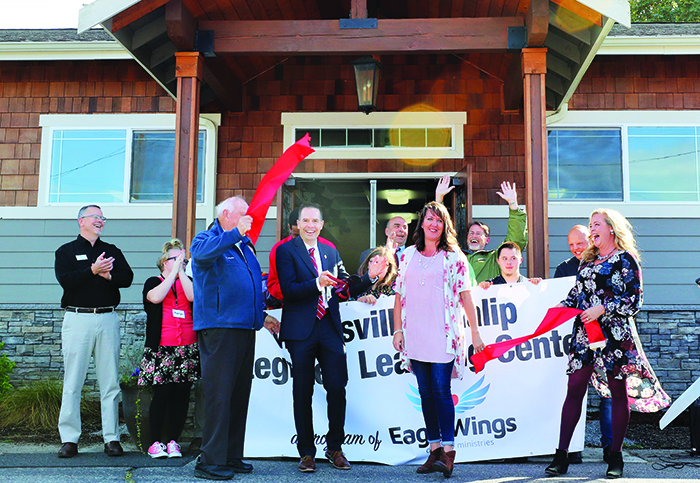 Mayor Jon Nehring and several Eagle Wings disAbility Ministries staff members were on-hand for a ribbon cutting ceremony, marking the official kick-off to a program nearly two years in the making. “The Integrated Learning Center has the potential to be a transformative program for the young adults of our community with special needs,” announced Mayor Nehring. “Where they previously had limited opportunities for continued growth, there is not a substantial option right here in Marysville. Tulalip tribal members Kelsey Sheldon and Tyler Fryberg were selected as students for the inaugural year of the Integrated Learning Center. Kelsey and Tyler will be among the first group of select students to forge lasting connections with the community that will help them establish relationships and increase employment opportunities, while developing health and safety skills. Together they will help establish the foundation for other tribal youth with special needs to develop skills that further their independence and enhance their lives. An inclusive community with concerned parents, school teachers, key leaders from Tulalip, job coaches and citizens, it is the Integrated Learning Center’s goal to see everyone in our community live a full, independent life. 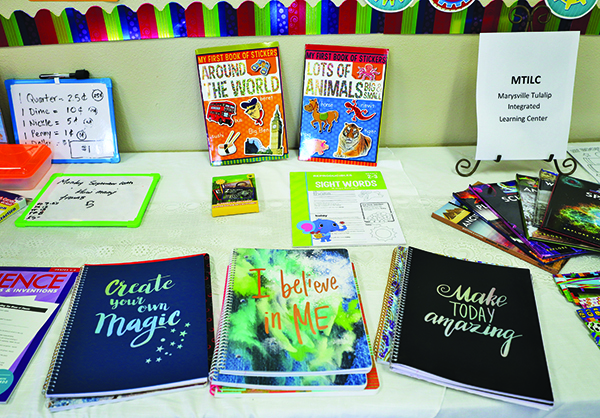 This entry was posted in Education, News, Top Story, Tulalip News and tagged Marysville Tulalip Integrated Learning Center by Kim Kalliber. Bookmark the permalink.